Join us to talk about issues affecting Mount Pleasant and for a discussion on human scale urbanism. We’ll have a look at the replanning of Christchurch, NZ and screen a short film. Discussion will follow afterwards. There will also be time for free discussions about issues in the civic election and how these pertain to Mount Pleasant in particular. All are welcome. Refreshments to be provided. 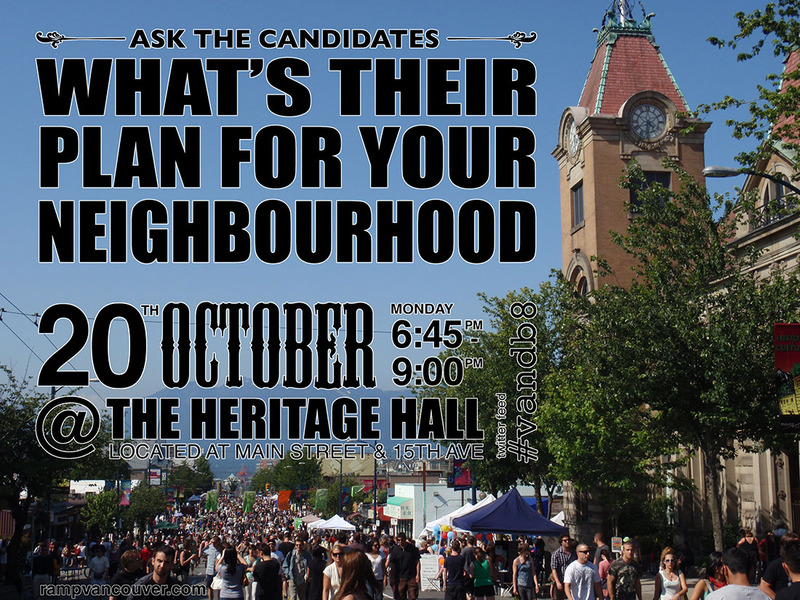 Heritage Hall was completely packed for a Vancouver City Council Candidates’ debate held on October 20th, 2014. We’d like to thank Miranda Nelson of the Straight for moderating the debate. A big thanks also goes out to all candidates who participated: Councillor George Affleck (NPA), Pete Fry (Green), Keith Higgins (COPE), Ken Low (NPA), Councillor Adriane Carr (Green), Nicholas Chernen (Cedar), Councillor Raymond Louie (Vision) and Tim Louis (COPE). We will post additional photos and videos of the event. The first half of the debate consisted of crowd-sourced questions. Questions from the floor were answered during the second half of the debate. UBC Professor Patrick Condon has stated that the population of Vancouver could be doubled by building only 4 storeys or lower along arterials. Question: If elected, what will you do about property crime, bike theft, shoplifting and vandalism? 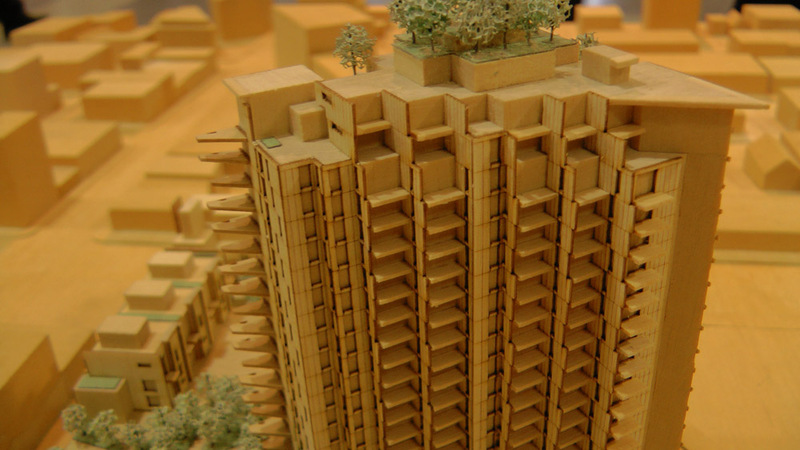 Increasing density in a neighbourhood is often a lively and contentious issue. 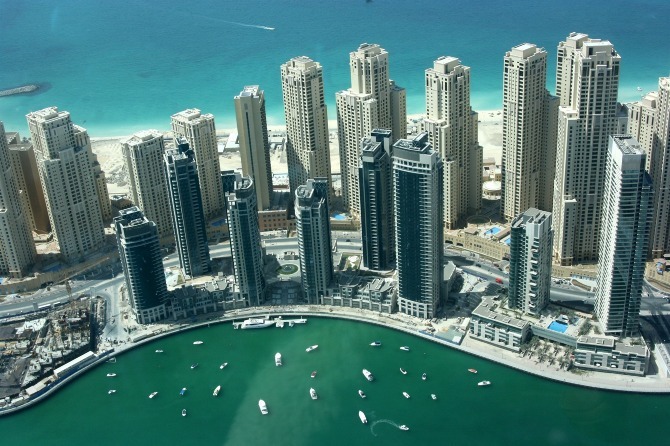 And debates about density are often about the building form (high rise, medium rise, low rise, etc.) that will be used to increase density. Question: Should residents of neighbourhoods, such as Mount Pleasant, be given more choice in the way density is increased? If elected will you commit to stopping the practice of “spot rezoning”, particularly when it contravenes the content, intent and spirit of neighbourhood plans? [RAMP addition: Several blocks from here a spot rezoning is proposed — at Kingsway and 11th Avenue — that was not contemplated under the Mount Pleasant Community Plan. The main mayoral candidates in Toronto announced that they will voluntarily release the list of their donors prior to their municipal election. Question: If elected would you work towards stopping the demolitions and consider saving the Hollywood Theatre and other cultural heritage assets? The City of Vancouver invested 8.5 million dollars in the lead-up to the 2010 Winter Olympics for the Demonstration Streetcar from Granville Island to the Canada Line. This was three quarters of the investment needed to complete an operable community-connector streetcar service from Granville Island to Science World. In the City’s proposed 2015-2018 Capital Plan, $400,000 of funding for “renewal of transit infrastructure” has been earmarked for “decommissioning” this Downtown Historic Railway. Many people believe there is considerable potential for a community streetcar service connecting False Creek Village’s 15,000 residents and surrounding Vancouver neighborhoods. Please join us for a City Council candidates’ debate. The debate will be moderated by Miranda Nelson of the Straight. 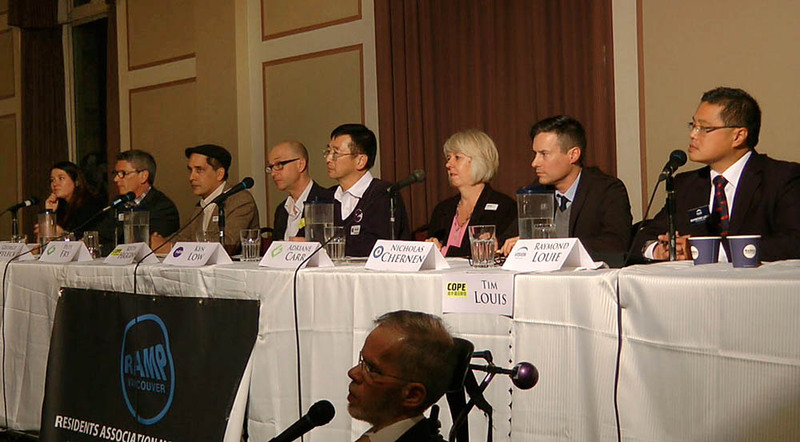 Participants: Heather Deal & Raymond Louie (Vision Vancouver), George Affleck & Ken Low (NPA), Adriane Carr & Pete Fry (Green Party), Tim Louis & Keith Higgins (COPE) and Nicholas Chernen (Cedar Party). Come join the debate and ask questions. This is a free event. There will be an open microphone to take questions from the audience during the second half of the debate. Refreshments will be provided. Doors open at 6:30pm. Questions for the first half of the debate will be crowd sourced. Please send your questions to questions@rampvancouver.com by 1pm, Sunday October 19th. Time magazine called it “Hong-couver” in the 1990s. Between Expo 1986 and the 2010 Vancouver Winter Olympics planning in Vancouver took a turn for the worse building a tower-and-podium typology many hoped would make the city ‘world class’. However, as tower developers drive into the neighborhoods in search of cheap land a different Vancouver is being loudly proclaimed. 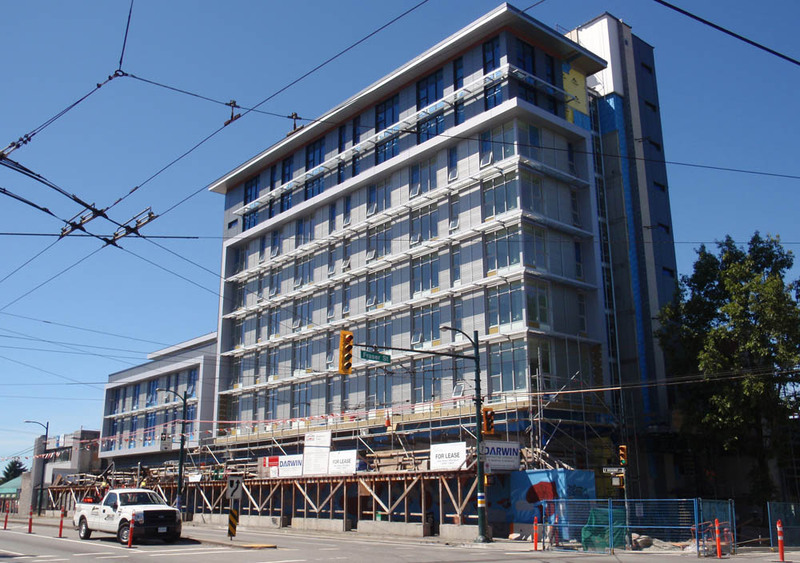 A new supportive housing facility located at Fraser Street and East Broadway is nearing completion. The Vancouver Native Housing Society is hosting an Open House on Wednesday, August 13th between 5 and 7pm to provide information to members of the public. The Open House will be held at 285 East 5th Avenue (at Scotia / Native Education College) in Rooms 103 & 104. The massive Rize development proposed for Mount Pleasant will be reviewed at the Development Permit Board on Monday, July 14th. The Development Permit Board meetings are held in the main City Hall building at 453 West 12th Avenue on the 1st Floor in the “Town Hall” Meeting room. This room is located in the north side or “wing” of the main building. Speakers are allowed up to 5 minutes each, in a process very similar to a Council meeting. Speakers must be signed up before the meeting begins. To register to speak, please send an email to lorna.harvey@vancouver.ca or call 604-873-7469. Tip: Ask for your speaker number. 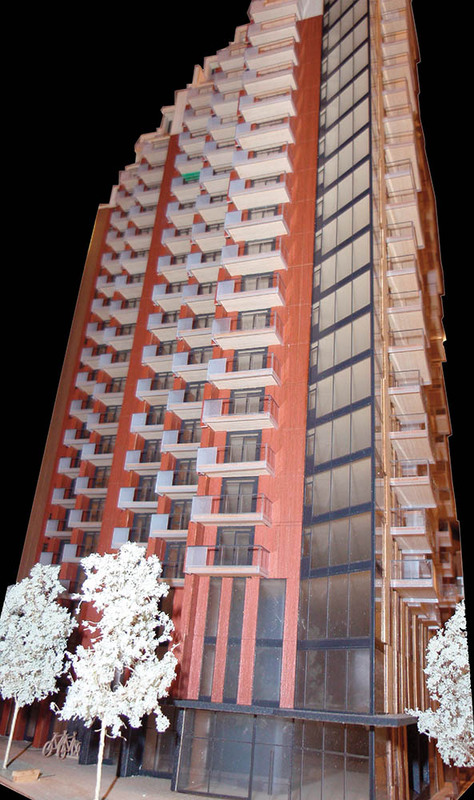 This could be your last chance to speak at City Hall about the proposed development. 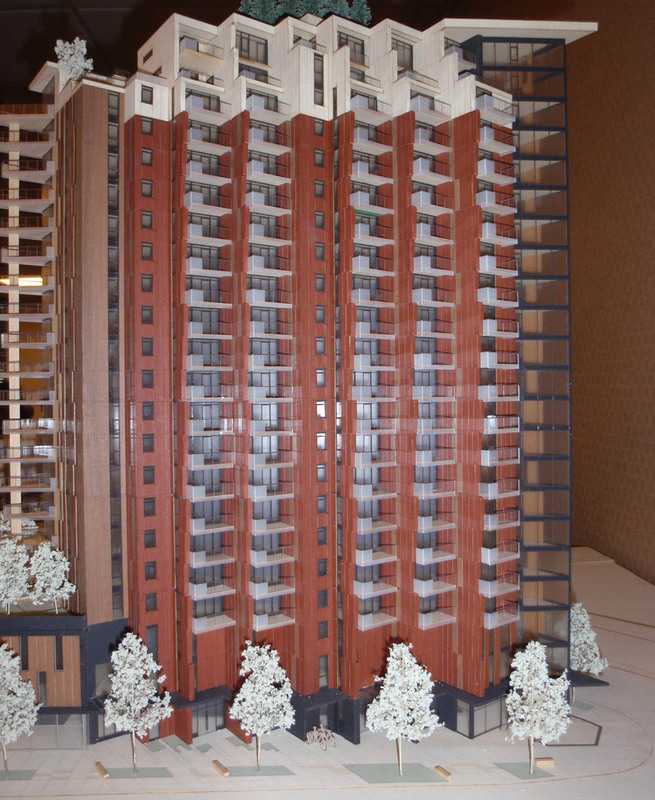 The meeting will begin at 3pm with the review of 235 Kingsway. We don’t know how long that will take. The Rize review will probably get started around 5pm. Don’t be fooled by the large signs by Rize Alliance Kingsway Properties around Broadway and Kingsway advertising “The Independent” tower. City Council has NOT yet even approved the development on this site. The rezoning has not been enacted. No development permit has been issued. We still have many concerns about the process and details of this development and its impacts on Mount Pleasant. The Development Permit Board (DPB) has the power to approve or reject this proposed design, or to impose conditions. There have been a number of proposed changes to the design since the Public Hearing that ended on April 17, 2012. The tower is now 21-storeys tall vs. 19-storeys (with a slight increase in overall height), 258 residential units are proposed (instead of 241) and there are a total of 399 underground parking spaces on 4 levels. The previous scheme had 3 levels of underground parking with 320 parking spaces. During the course of the Public Hearing, many references to a ‘food co-op’ were made; the food co-op has been shelved. The design still proposes having large trucks use Watson street for deliveries. Many of the conditions set by City Council during the Public Hearing have not been addressed. The changes proposed by Rize diverge from the application that was reviewed by City Council at the Public Hearing. As such, this new proposal should really be reviewed at a new Public Hearing. There is an alternate option for accommodating growth in Mount Pleasant, all within low and mid-rise forms that ensure livability and affordability. 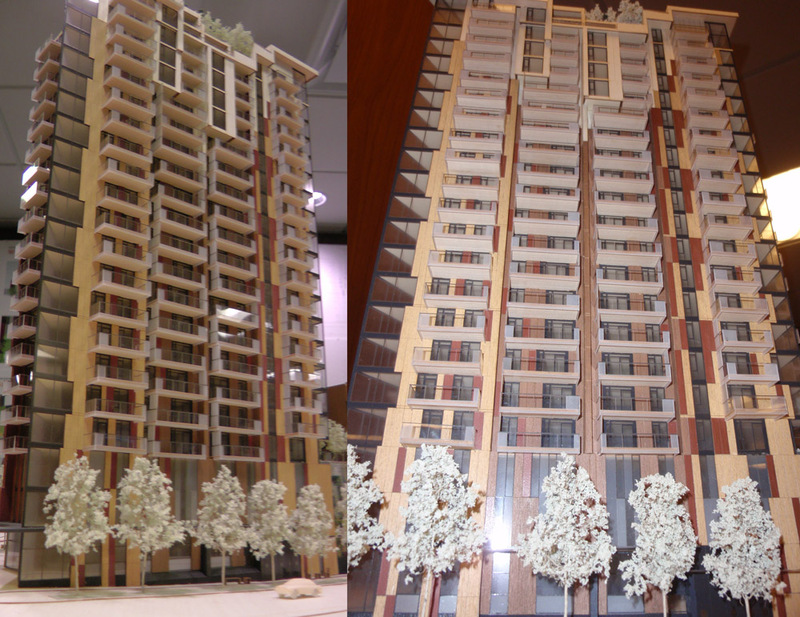 The photos included here are of the applicant’s models of their latest proposal. In preparation for a meeting at City Hall scheduled for July 14, we will be providing updates about the current status of the Rize proposal. As well, a separate development proposal for a 6-storey building at 235 Kingsway, due south of the Best Western Hotel, will also be reviewed. Find out how you can speak to at this important upcoming meeting. 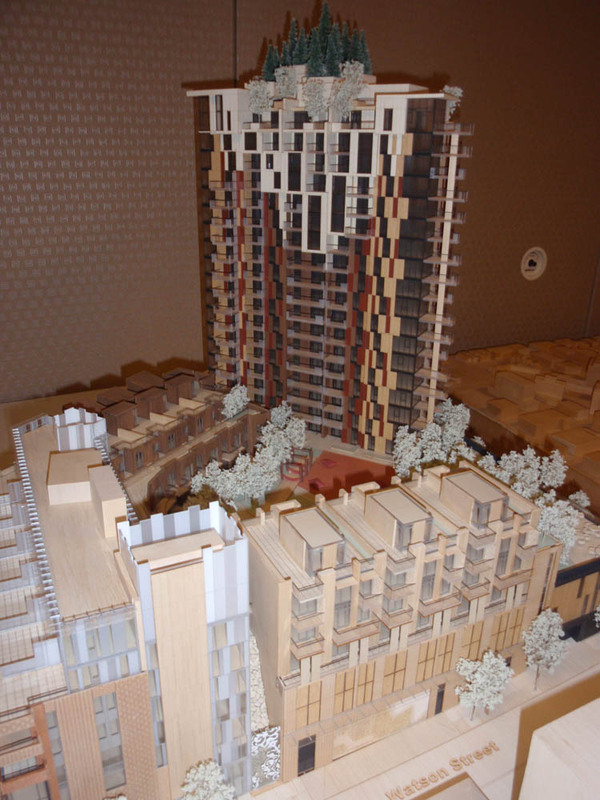 The City of Vancouver and the developers held an Open House on April 14th and showed the latest incarnation of the Rize-Alliance Kingsway Properties tower proposal for the block bounded by Broadway, Kingsway, 10th Avenue, and Watson Street. RAMP will be presenting an analysis of their updated plans. 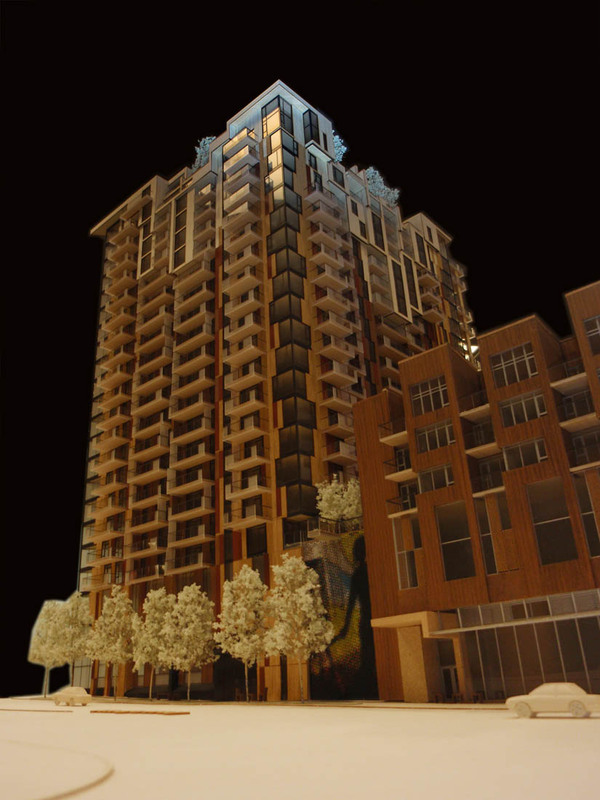 The now proposed 21-storey tower (up from 19) would have 258 condo units (up from 241) and 399 parking spaces (up from 320). Little about the Rize does not go up!